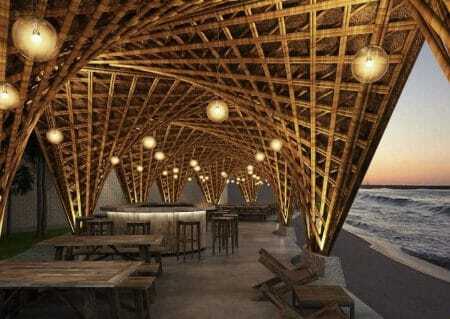 The aim of using green building materials is to construct energy-efficient structures. To achieve this one should know about different green building materials and their properties regarding energy saving. So, Here are different types of green building materials and their properties. 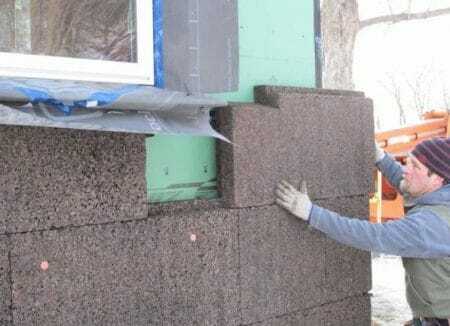 Following are the list of Green building materials used in construction. 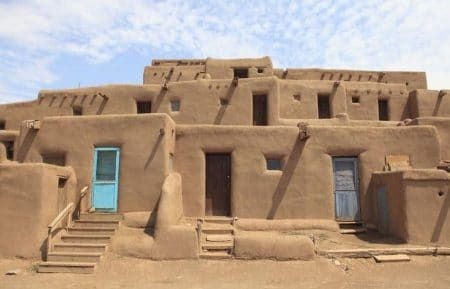 Earthen materials like adobe, cob, and rammed earth are used for construction purposes since olden days. For good strength and durability chopped straw, grass, other fibers etc. are added to earth. 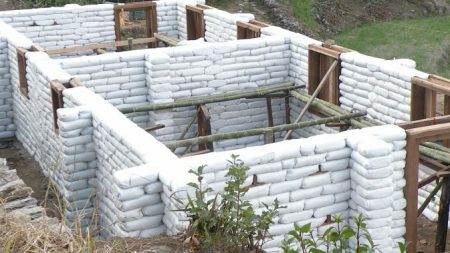 Now a days also, some structures built with adobe or cob can be seen in some remote areas. But in the process of conversion from raw timber to wood boards and planks, most percentage of wood may got wasted. This wastage can also be used to make structural parts like walls, boards, doors etc. in the form engineered wood. Unlike solid wood, engineered wood contains different layers of wood, usually the middle layers are made of wood scraps, soft woods, wood fibers etc. These trees grows faster irrespective of climatic conditions. So, it is economical also. They also give good appearance to the structures. 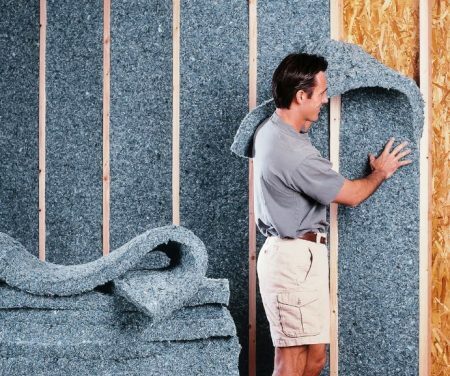 Structural insulated panels (SIPs) consists two sheets of oriented strand boards or flake board in between them foam layer is provided. They generally available in larger sizes and are used as walls of structure. 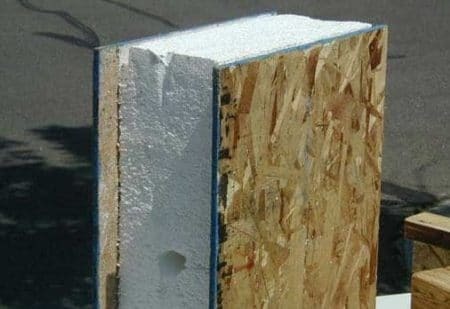 Insulated concrete forms contains two insulation layers with some space in between them. This space contains some arrangement for holding reinforcement bars, after placing reinforcement, concrete is poured into this space. 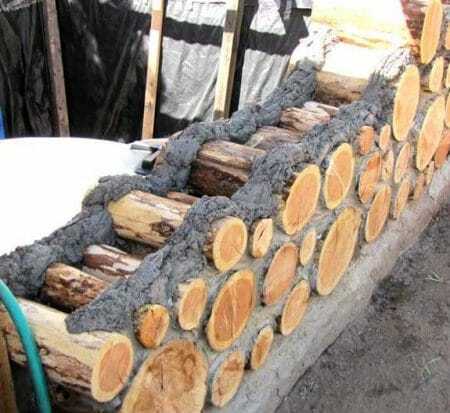 If wood is widely available, then cordwood construction is recommended. It require short and round pieces of wood which are laid one above the other along width wise and are bonded together my special mortar mix. Straw bale is another green building material which can be used as framing material for building because of good insulating properties. 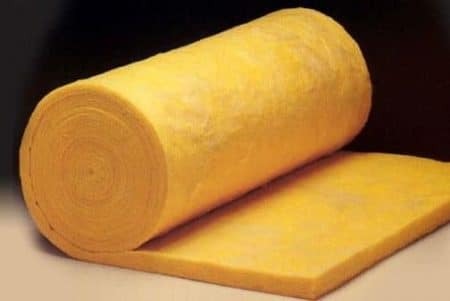 They can also acts as sound proof materials. 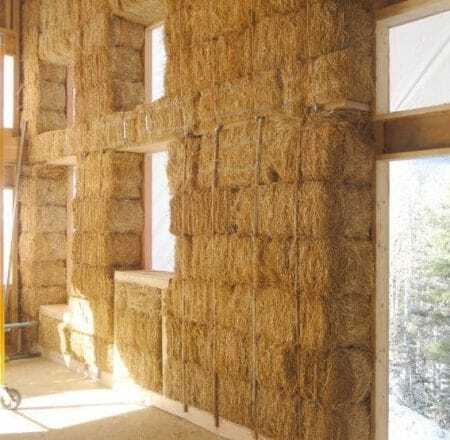 Non-load bearing walls of straw bale as fill material in between column and beam framework is recommended. Since air cannot pass through them, straw bales also has some resistance to fire. These type of structures can be seen in military bases, near banks of water resources etc. Generally bags made of burlap are recommended but they may rotten very easily and hence, polypropylene bags are using now a days. 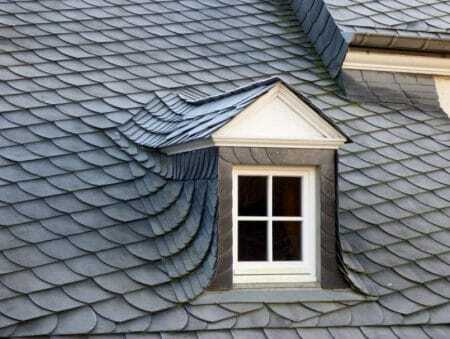 Slate tiles are having high durability and they are used as roofing materials. 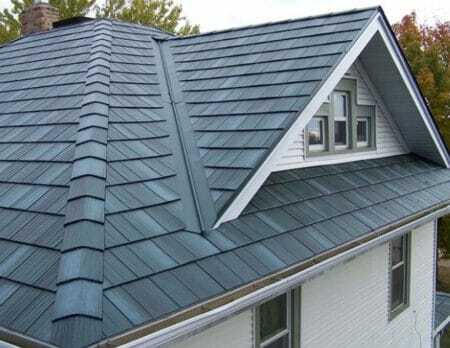 Steel roof panels and shingles are highly durable and they can be recycled for again and again. So, these are best choice for green roofing materials. 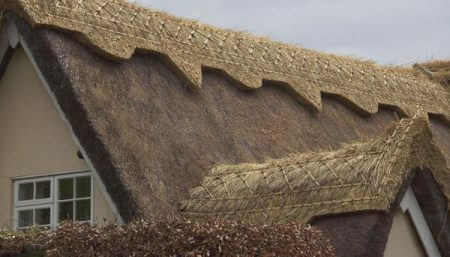 Thatch is nothing but dry straw, dry water reed, dried rushes etc. These are oldest roofing materials which are still using in some remote locations of world and even in cities for aesthetic attractions. 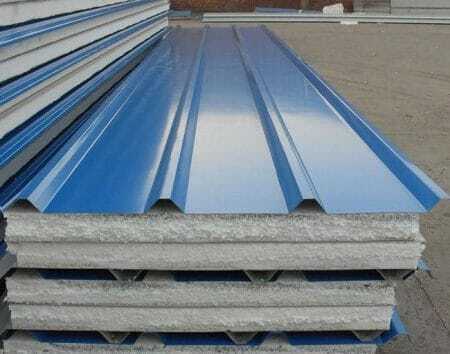 It is cheaply available material for roofing and a good insulator too. 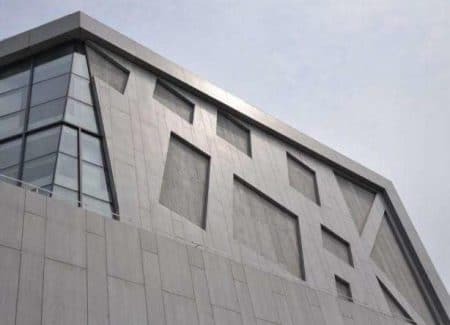 Roof panels made of composite materials such as foam or cellulose layer sandwiched between two metal sheets or two plastic sheets are also come under green building materials. 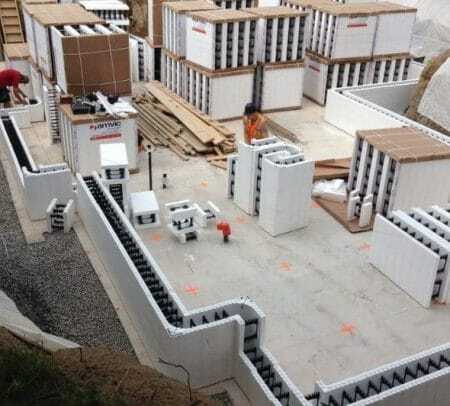 They are light in weight and inexpensive and provide good insulation for the structure and saves energy. 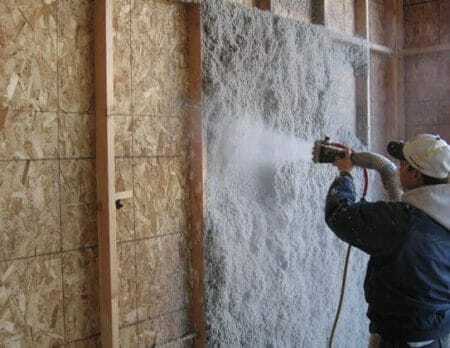 They offer excellent insulation and prevents leakage of air. 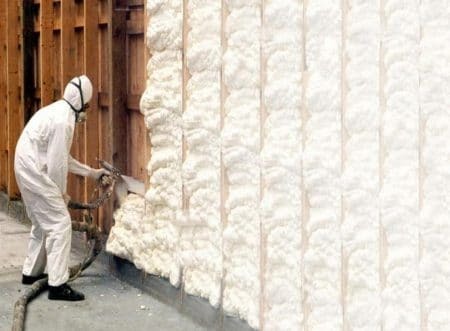 Even though it contains some toxic binding agents, because of its super insulation property at low cost it can be considered as green building material. It acts as good sound insulator and available for cheap prices in market. Cork also a good insulator. Boards or panels made of cork are available in markets. So much electrical energy can be saved by cork board insulation in winter. 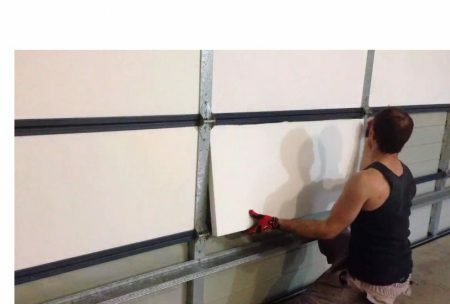 Polystyrene and isocyanurate foam sheets are another type insulation materials which are available in in the form of boards or sheets. These are generally provided as insulators on exterior sides of structure, below the grade etc. 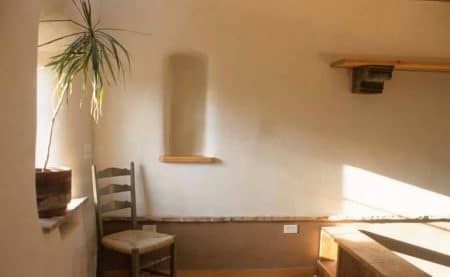 Natural clay plaster with proper workmanship gives beautiful appearance to the interior. 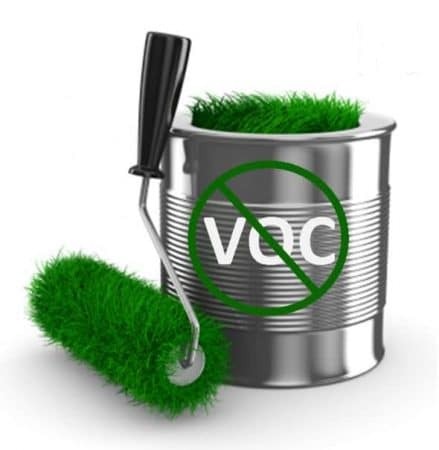 Presence of Volatile Organic Compounds (VOC) in paint reacts with sunlight and nitrogen oxide resulting formation ozone which causes severe problems for the occupant health. Stone is naturally occurred longest lasting building material on the earth. Some Stone structures built hundreds of years ago are still exists in nature.